Brave has announced that now Twitch streamers can also start to earn revenue in connection with the Brave browser and the Basic Attention Token (BAT). Brave has seen strong growth of new users and creators (including thousands of YouTube channels) after recent announcements and now it seems that it is time for Twitch streamers to join in with a new way to get supported by their viewers. For those new to Brave, it is a faster, more private browser that also includes Brave Payments, a built-in method of supporting content creators. The Brave browser is integrated with the Basic Attention Token (BAT) using the Brave Payments feature, so that audience members can give to support their favorite publishers, YouTube creators, and Twitch streamers using the crypto tokens. The Brave browser lists the viewed Twitch channels in the Payments list, so that fans can donate tokens every month. Twitch streamers simply register as Brave Publishers to start receiving BAT contributions from Brave users. 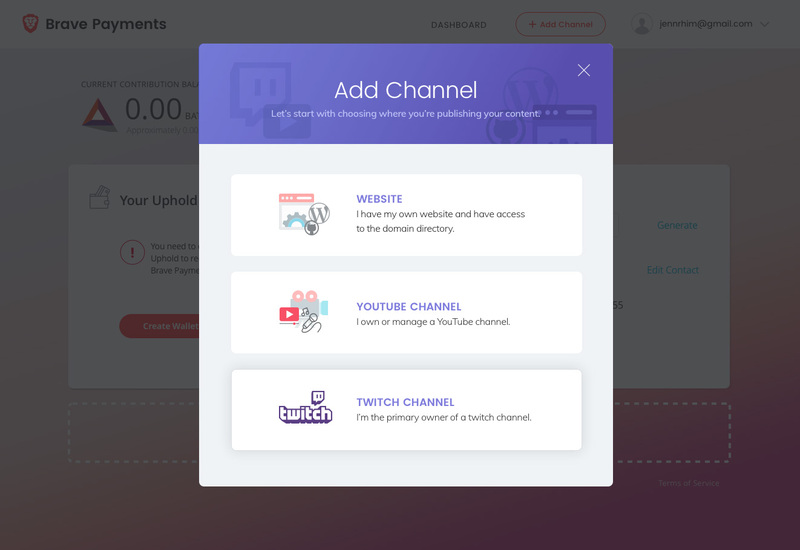 Twitch streamers can register their channel alongside other properties they may have (Web site, YouTube channel) as part of Brave’s multi-property support. Brave uses the Twitch.tv API to authenticate Twitch channels, after the streamer’s email is confirmed by the system. Once the verification process is complete and the streamer opens an account with Uphold, they can start receiving BAT contributions every 30 days.